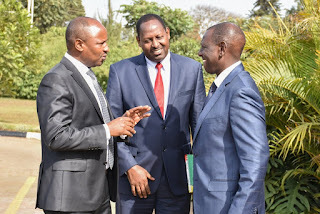 Home / News, Other Political News, Politics / RUTO cuts his trip to Nyeri after realizing that UHURU was meeting Nyeri leaders secretly –Was he behind the fake opinion poll? RUTO cuts his trip to Nyeri after realizing that UHURU was meeting Nyeri leaders secretly –Was he behind the fake opinion poll? 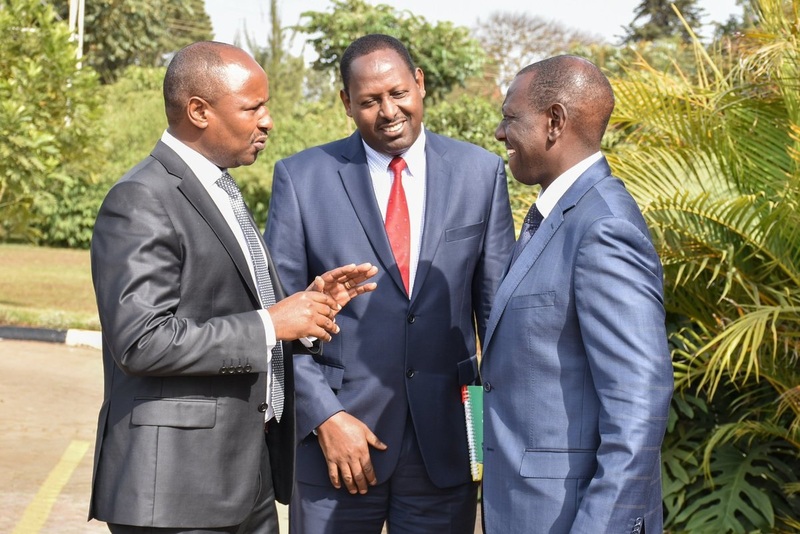 Friday August 24, 2018 - Deputy President William Ruto was forced to cut his trip to Nyeri County on Wednesday after realizing that President Uhuru Kenyatta met Nyeri leaders without consulting him. On Tuesday, Uhuru met Nyeri leaders at Sagana State Lodge where they discussed various issues affecting Nyeri leaders. “As one of the four Counties to pilot it, we briefed the President on our preparedness to roll out the programme," Nyeri Governor, Mutahi Kahiga, told Journalists after the meeting. Uhuru’s meeting came a day before Ruto scheduled a meeting to Nyeri where he was supposed to launch a number of projects. An impeccable source said Ruto cancelled the meeting because Uhuru told the leaders to concentrate on his Big Four agenda and stop early campaigns for 2022 presidential elections. “We know that the elections will be in 2022 and we have our game plan,” Uhuru told the leaders.